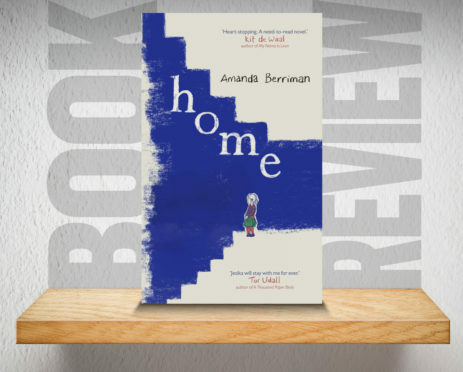 Schoolteacher Amanda Berriman’s debut novel Home is a sensitive and thought-provoking novel about a section of society that’s so easily overlooked. Told through the innocent lens of four-year-old Jesika, the deliberate misspellings can feel jarring at first, but a few chapters in, it’s a challenge to not become completely engrossed and concerned for her family’s wellbeing. Living below the poverty line in a small flat, we learn of Jesika’s mum Tina’s heroic efforts to provide the best for her small family. But when Jesika befriends Paige, she is told a troubling secret that could destroy this already struggling family forever. Written much in the same style of Emma Donoghue’s Room, Home is an incredibly brave novel that never shies from the harsh realities of poverty, which still very much exist in the UK. An emotionally tough read, Jesika’s voice and tale will stay with you long after you’ve finished this powerful book.